Please call 888-769-4204 today for more information or to schedule your appointment or click here to schedule an appointment online. 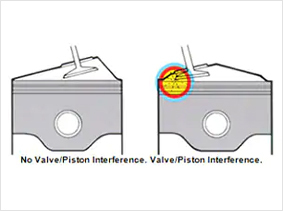 Timing belt non-interference & interference engines as you guessed…Interference = BAD! 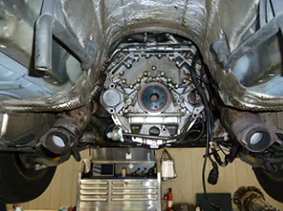 Timing belt-equipped car engines can be classified as either free-running or interference, depending on what occurs if piston/valve synchronization is lost due to a failed timing belt. As illustrated above, an interference engine usually sustains damage if synchronization is lost. This could result in very expensive engine repairs. 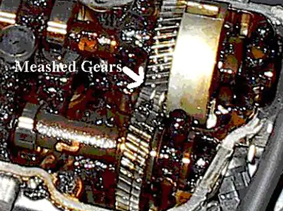 Timing belt failure on interference engines can result in serious engine damage. See manufacturer’s maintenance manual for specific information. Belts of similar dimensions and tooth profiles are not interchangeable due to varying construction features. 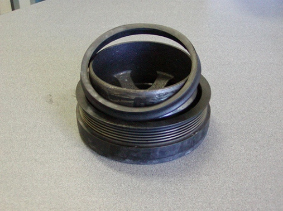 Misapplication of belts voids manufacturer’s warranty. 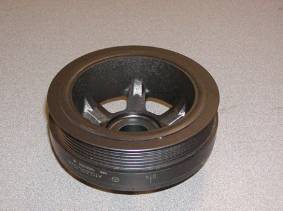 Hear a scraping or rattling noise on your Mercedes V/6 or V/8….STOP!! A five minute inspection could save you thousands!!! I’ve had plenty of conversations about the root cause of oil leaks being increased crankcase pressure and not necessarily a failed gasket. Many times this helps actually solve the root problem instead of simply fixing a symptom. Especially when the customer brings me an estimate from another shop with a recommendation for replacing a valve cover gasket and nothing else. Education is key and it shows that we do a complete repair not simply a more expensive one. However, once that education is planted some customers do return to the original shop for the work to be completed and then use the information we provide as leverage when the car leaks oil again. Long story short not only do we need to strive to educate our customers but also other technicians. Having a service advisor and a customer on the same page is fantastic but when the entire facility shares a common understanding you can truly develop a long term client relationship. Long story short, not only do we need to strive to educate our customers but also other technicians. Having a service advisor and a customer on the same page is fantastic, but when the entire facility shares a common understanding you can truly develop a long term client relationship. The result of engine oil leaks and extended oil change intervals, this view is the back of a BMW engine with the transmission removed. In addition to the valve cover gaskets, intake gaskets, valley pan, the rear main seal was also leaking, the cyclone pump and suction pump were clogged. We replaced the leaking gaskets as well as the cyclone pump and the suction pump. For Porsche models 3.0 SC, 3.2 Carrera, 964, Turbo I, Turbo II, 993. So often it is done wrong, and not just by the owners. You must check while running and when truly hot. Often garages that are unfamiliar with the correct procedure get it wrong. And too much oil can be bad news. It’s easier to check after a drive. Inside the car you have an oil level indicator (right beside the fuel level). This shows the level in the oil tank. In the engine compartment you have a dipstick. It too shows the oil level in the tank. You can check the dipstick to make sure the gauge is telling the truth. The procedure is exactly the same. Your Porsche must be at running temperature…i.e. it must have been running for 15 minutes or more (in cold weather). With the engine hot you must let it idle for 60 seconds (this allows the oil to settle and get a true reading). The gauge should read between a third and two thirds. The dipstick will reflect the level on the gauge. Add oil as required. There is less than 2 quarts between the “full and empty” marks. Add ½ quarts of oil or less at a time. 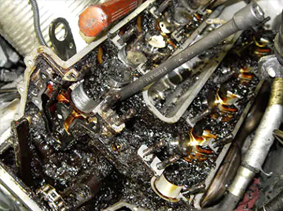 Check the oil during or after a drive, most 911’s will use some. When the engine is cold (first thing in the morning) the gauge will read empty. When the engine is turned off it will read empty. When you drive the reading is inaccurate. It may swing around but it means nothing. Regular oil changes at 3,000 mile intervals are the best thing for your car. 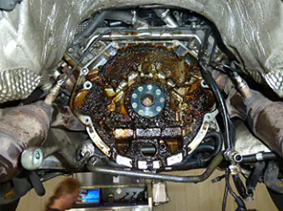 If you extend your oil change frequency, you are leaving your car vulnerable to dangerous sludge build-up and possible engine damage. Take short trips of less than 5 miles? Drive in hot weather greater than 90 degrees? Have extreme idling or are you in constant stop and go traffic? Tow a trailer or boat? Drive in hilly terrain or dusty conditions? Excessive heat and humidity as well as excessively cold weather can also contribute to oil break down and sludge build up. Please call 774-277-3797 today for more information or to schedule your appointment or click here to schedule an appointment online.